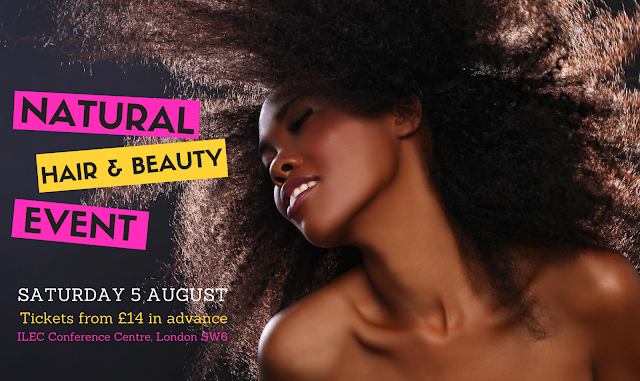 The Curly Treats Festival (formally Natural Hair Week London) is UK’s Biggest Natural Hair Festival. Bigger, Better, Brighter- Introducing Beauty, Wellness & Black Empowerment in London, UK on Saturday 5th August 2017! For so long, Black people have experienced discrimination because of the colour of their skin and texture of their natural hair. Although, the standard of beauty is becoming diverse, the gap is still wide apart - progress is slow. Afro-textured hair is still perceived as political. Young people around the world are still being told that natural hair is unacceptable for school, many women still wear a weave or wig to work because natural afro hair is seen as “unprofessional’, and banning men from wearing their hair in locs is not considered racial discrimination - all recent news. After 4 years of delivering the UK’s leading natural hair event, the team, headed up by Event Director Vinna Best will continue to celebrate and provide the creative platform for the celebration of natural afro hair, empowerment and wellness. 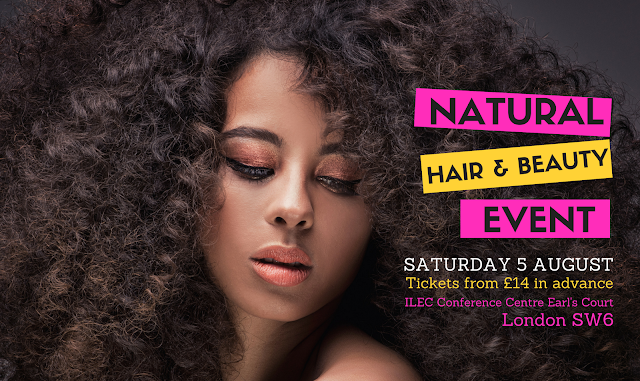 CurlyTreats Festival will take place on Saturday 5 August 2017 at the ILEC Conference Centre Earl’s Court, London. CurlyTreats is continually looking for ways to enhance their visitors experience, to provide greater value for those who love to attend Natural Hair Week (now CurlyTreats Festival). 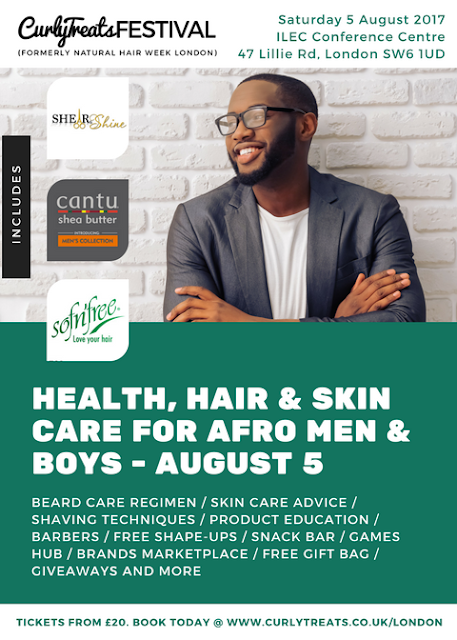 CurlyTreats Festival is a fantastic day and was created for visitors who enjoy natural hair and beauty and are looking for additional benefits such as beauty sessions, product offers, expert recommendations and feedback on your natural hair and wellness journey. This year's CurlyTreats Festival will take place in London only. "With the additional natural wellness branch of our event offers more presentations, workshops, exhibitors and networking opportunities to make feeling great easier." - Founder and Event Director Vinna Best. Or join CurlyTreats Festival on Facebook. 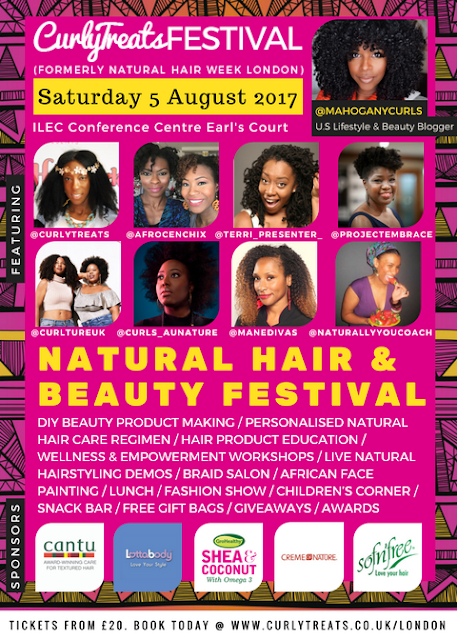 The official sponsors of CurlyTreats Festival London include Cantu, Mixed Chicks, Creme of Nature, LottaBody, GroHealthy and Softn' Free. Follow us and subscribe at the top of our blog to stay updated!